HOLLYWOOD SPY: GORGEOUS FIRST POSTER AND TRAILER FOR AUSTRALIAN DRAMA 'STORM BOY' WITH GEOFFREY RUSH AND JAI COURTNEY! GORGEOUS FIRST POSTER AND TRAILER FOR AUSTRALIAN DRAMA 'STORM BOY' WITH GEOFFREY RUSH AND JAI COURTNEY! 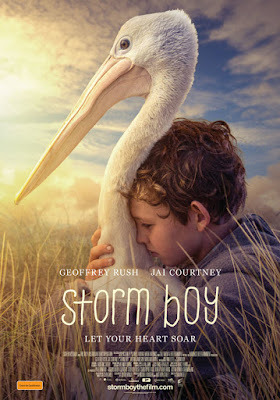 A trailer and the gorgeous first poster have been released for Australian drama STORM BOY which hits cinemas Down Under next January starring Geoffrey Rush and Jai Courtney! 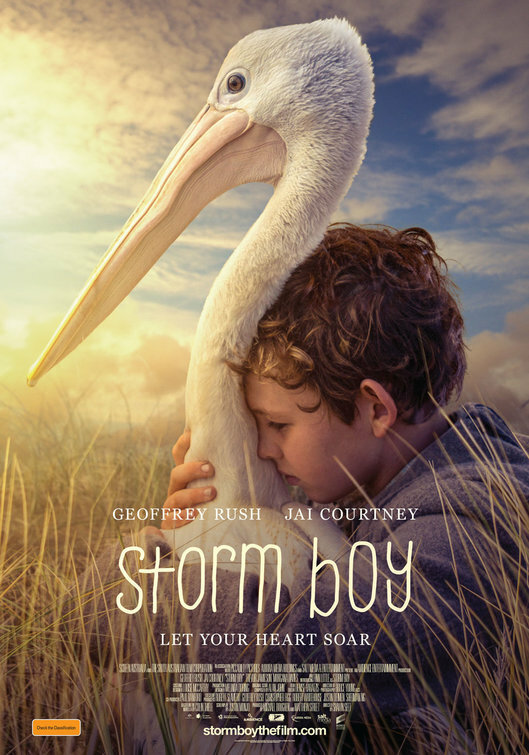 STORM BOY, based on the beloved book by Colin Thiele, is a highly emotional tale of a young boy (Finn Little) growing up on the beautiful but uninhabited coastline of Southern Australia who unexpectedly rescues and then raises three orphaned pelicans. When he forms a close bond with them, he finds himself at odds with his fisherman father and his life takes a new and unexpected turn. Jai Courtney plays his protective father who removes himself and his son from society and chooses to live on the remote coastline of the Coorong. Geoffrey Rush plays old Storm Boy who recounts the story to his granddaughter. That is a beautiful poster. I love the love and compassion the little boy is showing to the pelican. Should be a touching film. Australian films are the best in the world, especially which such a great pair of actors in the cast! Jai me some Courtney! Looks promising. Hope they didn't use CGI pelicans. what's with this CGI hate today? aren't we all alien CGI?